Welcome to Dalian Riqian Motor Co.,Ltd. Rail transit motor:Since 1989, it has been equipped with motors for mine locomotives. 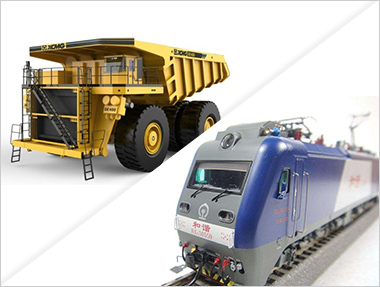 In 2006, he was involved in the field of civil rail transit, supporting motors and parts for the main railway locomotives of Toshiba and North Car. Electric drive mine car motor:In 2010, the localization of electric wheel motor was started, and it was the first motor enterprise to realize the localization of 220T electric wheel motor. At present, the replacement of foreign electric wheel motor sets such as GE, Belas and Komatsu is realized. 108 tons to 360 tons of electric dump truck motor units, for Xugong, Taizhong, Xiangdian and other supporting. Electric shovel motor unit:In 2004, the company began to develop electric shovel DC motor units. 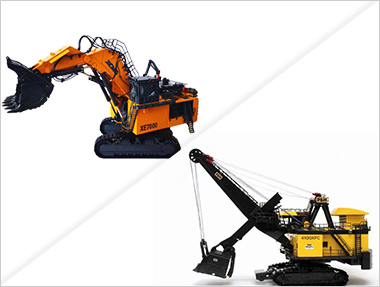 The self-developed 5-55 cubic shovel motor is used for mining electric excavators such as Taizhong, Fusui, and Sany Heavy Industry. In 2010, the company began to develop hydraulic electric excavator motors. It has successfully localized Hitachi 2500 and 3600, and has the ability to develop such products on its own. 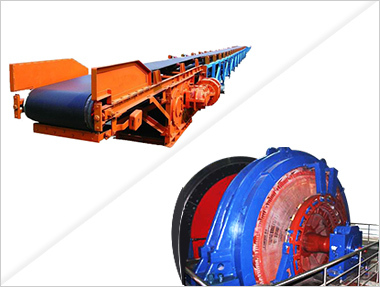 Permanent magnet motor:Since 2010, we have developed permanent magnet series motors, including shaft hoists, belt conveyors, shearers, roadheaders, scrapers, etc., including open pit mines, underground mines, cement plants, power plants, etc. energy customers.The earth's resources are rich and colorful; Qiqian will help you get it right! Founded in 1989, Dalian Riqian Motor Co.,Ltd. is headquartered in Dalian, a beautiful coastal city with an area of 180,000 square meters. It has established large-scale manufacturing bases in Dandong, Liaoning, Tangshan, Anhui and Anhui. The group management, the six major companies, four major factories. The company is a modern equipment manufacturing enterprise integrating scientific research, development, manufacturing, sales and service. It is led by motor production, electrical control, system integration, motor maintenance, logistics equipment and mechanical finishing. The market is spread all over Europe, America and Asia. Countries and regions.